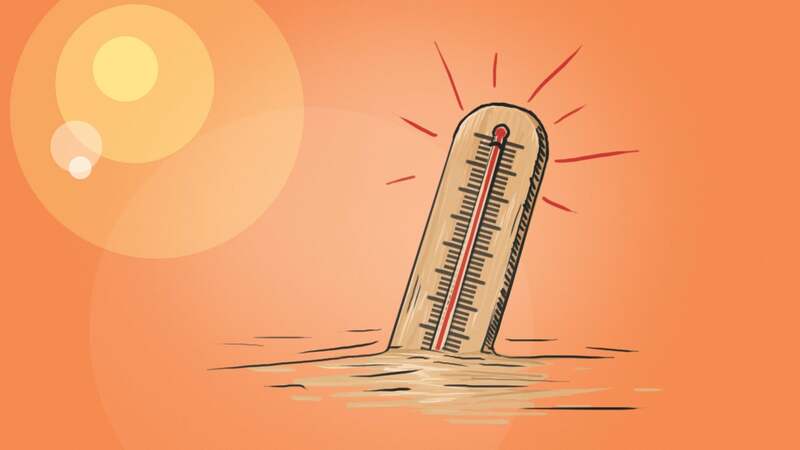 No one likes sitting around being hot and sweaty and gross, and the first step to mitigating that is simple: Keep your body temperature down. And the most effective way to do that is to stuff your body full of cooling foods and fluids — way more effective than applying cold things to your exterior (which we'll get to later.) 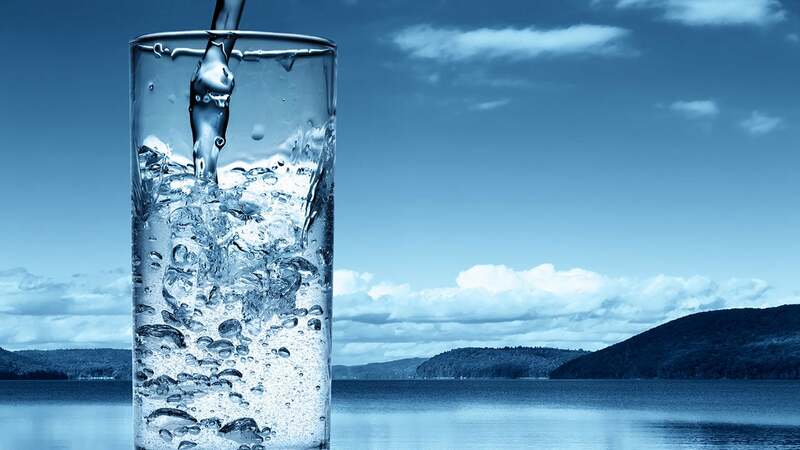 We've talked about how much water you should really drink, and busted some hydration myths, so feel comfortable drinking as much as you need to keep the heat at bay. The CDC says you should think of your body as an air conditioner — so keep your water bottles topped off with chilled water. If you don't think you have time — or don't love the taste of water — there are plenty of ways to trick yourself into drinking more. Water isn't the only cold thing you can stuff in your maw when things get a little too toasty. 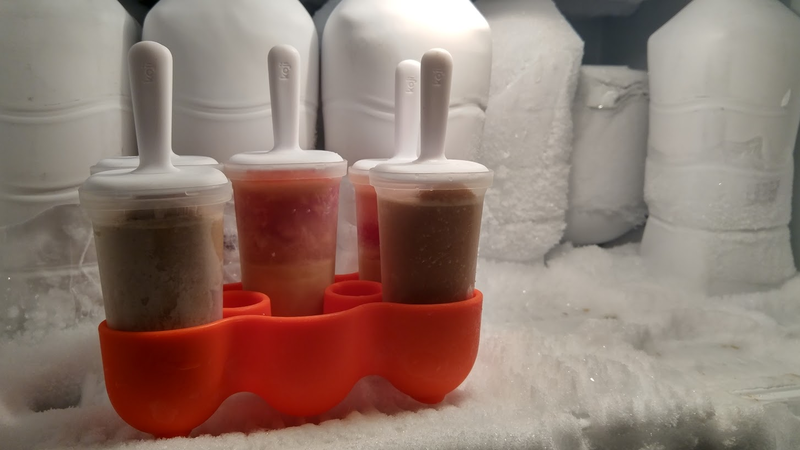 Crush some ice and make yourself a tasty slushie — they're actually proven to boost your endurance on those super hot days, especially if you need to exercise, or think you might need to go outdoors. If you're trying to get a little protein in your diet, try these protein-packed popsicle recipes to cool off and get the nutrition you need to hit your fitness goals. Either way, don't limit yourself to just ice water, it gets boring — mix it up and try other delicious, icy, chilled treats that will also help you stay cool. Just try to stick to the treats that are more ice than cream, if you know what I mean. Fans don't so much "cool" the air as they keep air moving around, which, as it moves over your skin and helps your sweat evaporate, makes you feel cooler than you would be if the air were still. 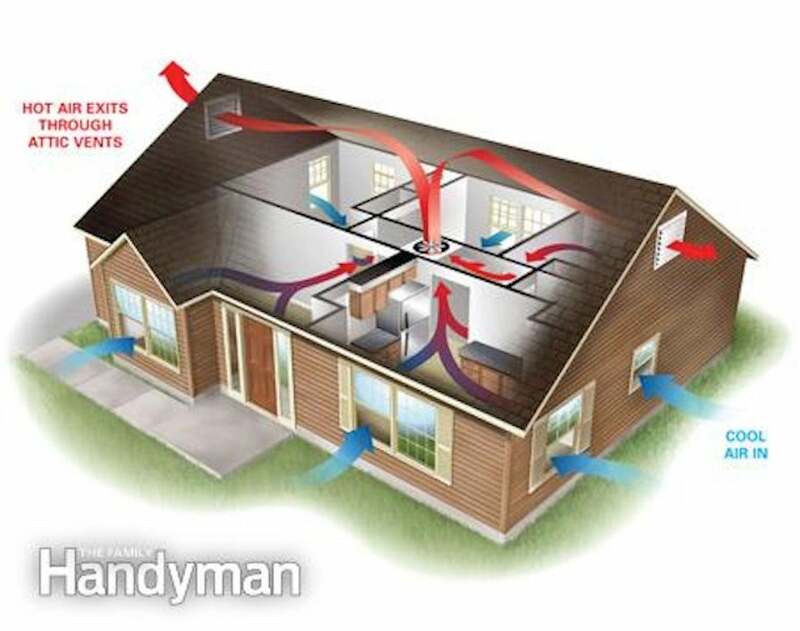 Now that you know that, set up your fans in windows or hallways so you get an awesome cross breeze, drawing in cooler air from one part of your home (or outside) and pushing the warm air elsewhere. Think of your house or your room as a PC with a hot processor in it that needs airflow, and set up your fans accordingly. If you have ceiling fans, make sure to set them up to optimal cooling, and if you're really enterprising, you can build your own temperature controller to toggle the fans on and off automatically depending on the temperature in your home. If you don't have an AC or can't have one (you live in a dorm, or you're renting a room, for example), you can roll your own air conditioner to keep things cool. You just need to know which ones actually work, because they aren't all effective, and you need to set your expectations accordingly. If you're thinking you can throw together a DIY air conditioner like one of these, and suddenly make your whole room cooler, you'll be disappointed. You can, however, make yourself cooler if you sit next to it for a while after it's been running. 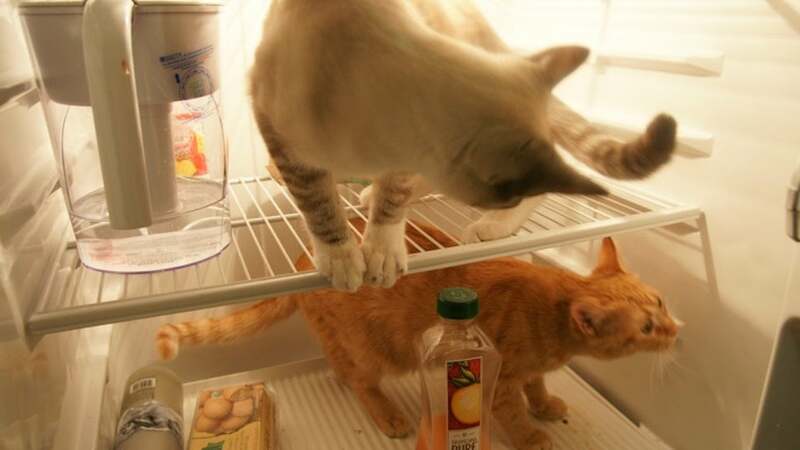 Your next biggest ally in the fight against heat is probably quietly running in your kitchen: your fridge and freezer. We're not saying you should open it up and try to keep cool in front of it (that's actually a terrible idea), but you should put it to good use while it's running. For example, make a little room inside for a couple of wet washcloths, or maybe a top sheet or fitted sheet. Your body will thank you when it's time to get into bed at night. Stick with light, breathable linens as well — summer heat is not the time to try and snuggle under a heavy fleece blanket. This old technique calls back to legends of how ancient Egyptians used to stay cool on hot nights. Simply soak a sheet or blanket large enough to cover you in cold water, then wring it dry so it's damp and cool, but not dripping wet. Then just use it as a blanket. As the water evaporates, you get the benefit of staying cool but not wet. There are a few more common variations on this theme, like the cold washcloth or ice pack on your head or wrists while you sleep, or going to bed with cool, damp (but again, not wet) socks on to keep your feet cool and you comfortable enough to fall asleep. Whatever you do, make sure to get your fridge or freezer involved. They can help you — and your stuff — stay cool. 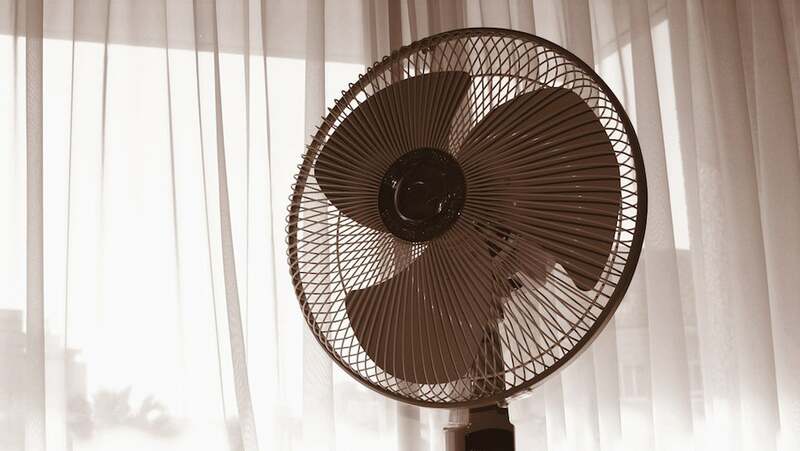 If you have the between $US200 ($278) and $US1200 ($1,668) necessary for a whole house fan, you could probably pick up an air conditioner — even a portable one — for the same amount. However, where the whole house fan wins is in ongoing energy costs. They're much cheaper to operate than AC units, and of course, if you don't live in a climate where you'd need an AC all the time, it might be a good option for those few weeks or months when it gets unbearably hot. They have their pros and cons though. They can be really efficient and affordable to operate, and they're even easy to install, but they obviously don't dehumidify, and they can't cool your home inside any lower than the temperature outdoors. They also move a lot of air and dust around your home, so they can make allergies worse, which is worth keeping in mind. One of the best ways to make sure your home stays cool in the summer is to keep the sun out, and then when the temperature does rise, give the hot air somewhere to go. We mentioned that you should make sure your fans are set up for optimal cooling, but you should also consider some heat blocking curtains, whether they look natural, they're the super futuristic type, or just something nice and heavy you keep closed when the sun comes up and the temperatures outside rise. Then, once the temps have peaked and it starts to get a little cooler outside, open those curtains and let the warm air out. It wants somewhere to go — preferably somewhere there's a higher volume of cool air, and you get to benefit from thermodynamics in action. Cool air comes in, warm air goes out, and everybody's happy. 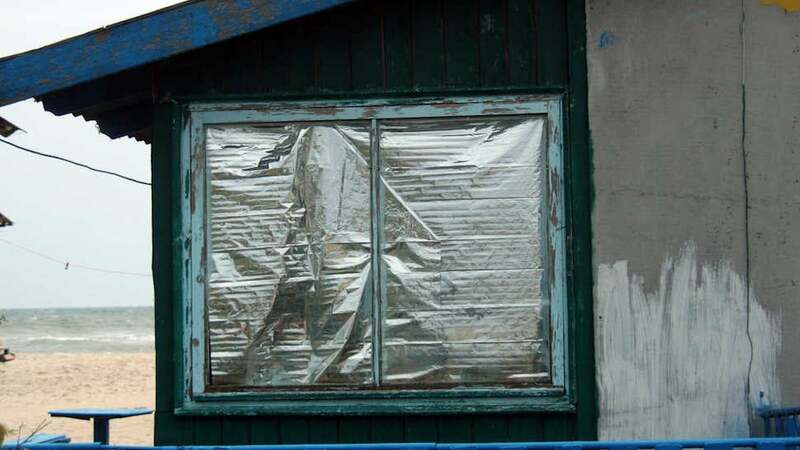 Just make sure to close those curtains again before it warms up again. If you do have a little money to spend, a pillow or sheet set that's designed to keep you cool can be a huge help when it's hot outside (and inside.) We've covered a few, including the $US25 ($35) Chillow, the $US100 ($139) PolarPillow (that Gizmodo liked, but not at the price), and the previously mentioned $US150 ($208) Technogel Pillow. 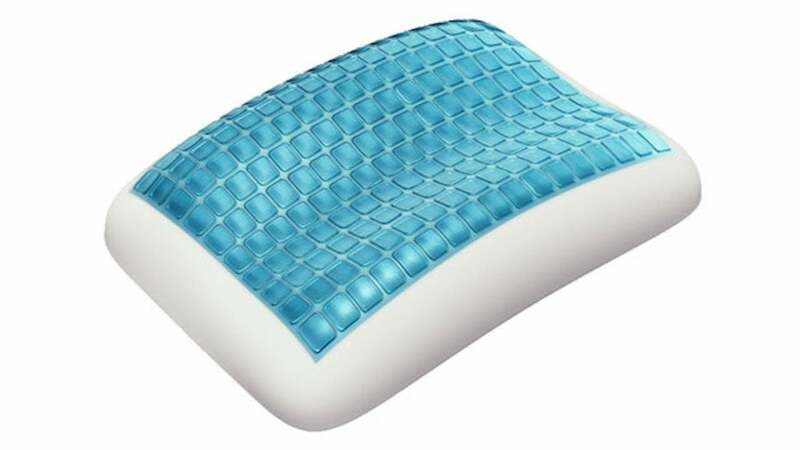 We've also highlighted the $US79 ($110) HIBR Pillow, which I still love and use today. In the sheet department, you can check out the $US200 ($278) Sheex "performance" bedsheets, which also promise to keep you nice and cool while you sleep. Gizmodo reviewed them here. Whatever you choose though, you have options to stay nice and cool, especially in bed, even when it's hot both inside and out. Whether you're buying specialty sheets and pillows, or just tossing your own washcloths into the freezer, it will help you to know your body's best cooling spots — draping a cool washcloth over your neck or wrists will help bring your body temperature down faster than trying to lay one over your forehead, even if it feels good to do so. 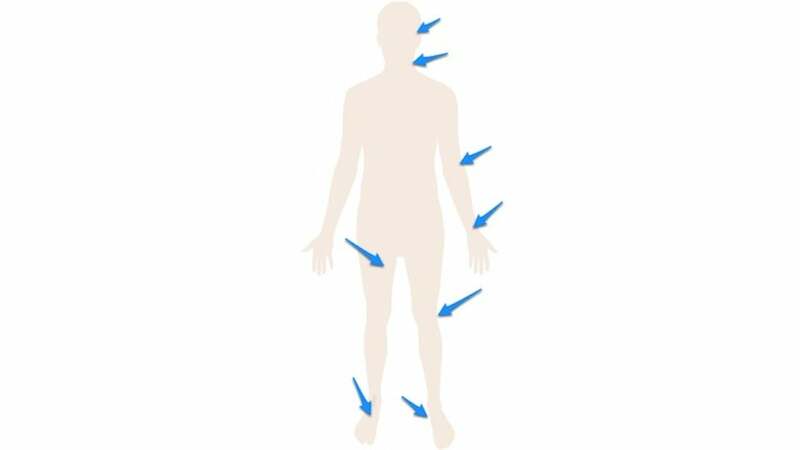 This way you can target those cold compresses, damp towels, or ice packs so they're as effective as possible. Speaking of compresses and ice packs, never underestimate the power of getting naked, and getting just slightly damp. Combine a little naked dampness with a fan or a DIY air conditioner that you're sitting next to, and you have a recipe for a relaxing retreat. The key here is, of course, to make sure that it's not too humid, or else you won't get that lovely evaporative effect as you dry off under a fan, or as that damp towel on your head slowly dries. A quick cold shower and an afternoon with the curtains drawn and the fans in the house going — and maybe a few glasses of cold water and some slushies — and there's no doubt you'll be able to maintain your chill. Illustration by Fruzsina Kuhári. 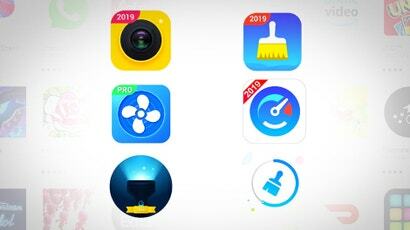 Additional photos by stocknadia (Shutterstock), Leonid Mamchenkov, romana klee, The Family Handyman (via our post), torange.biz, and bark. Whole house fans for cost savings aren't that great. For only slightly more power consumption you could use an evaporative cooler. Sure they don't work in all climates, but the energy used is only a fraction more. I have a giant block of ice, and I put my cat with a paper fan next to it. A fan and a spray bottle can work wonders on a hot day. I live in the tropics and none of this will work. With the humidity through the roof the air carries heat and there is bugger all you can do except have a cold shower which is momentary relief as shower water is exchanged for sweat in about 15 minutes. Humidity is average 86% where we live in sub-tropics, up to 92% or more when rain falls, so the only effective cooling appliance is an air conditioner, and must be used carefully due to extremely high-cost monetary rip-off electricity supply. Even cold showers waste a lot of water (again an expensive rip-off) as the water supply pipes are not very deep in the ground so the cold water is warm when running for a minute or two. Moving to the Northern or Southern Hemisphere depending on the season seems to be the only sure-fire solution, if the comments are to be believed.